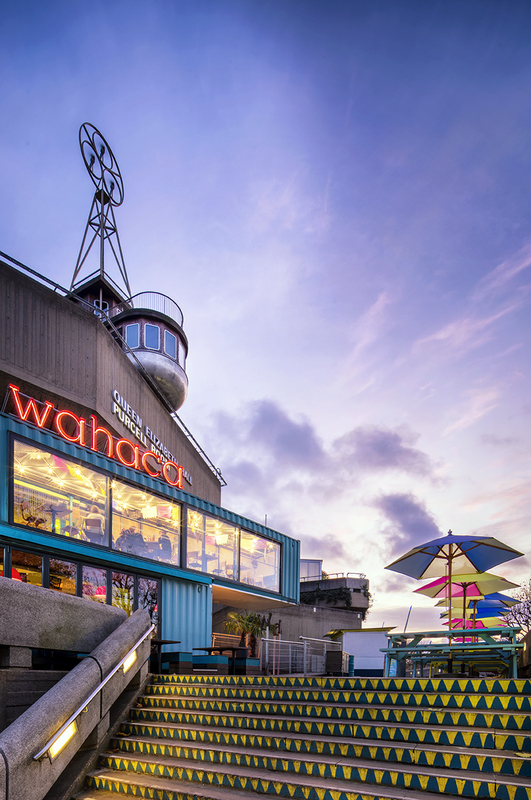 Wahaca and The Queen Elizabeth Hall Purcell Room at The Southbank Centre London, taken at sunset. Shot on the Canon 5D MK3 with 17mm TS-E lens. HDR merge of 2 exposures and processed with ColorEfex 4.